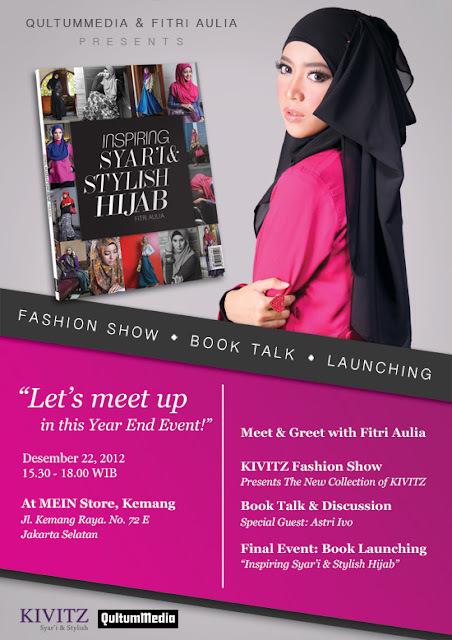 So, last Saturday (December 22, 2012) was held book launching & fashion show by Fitri Aulia at Mein Store, Kemang. Alhamdulillah, I was invited by kak Fitri to attend this event. 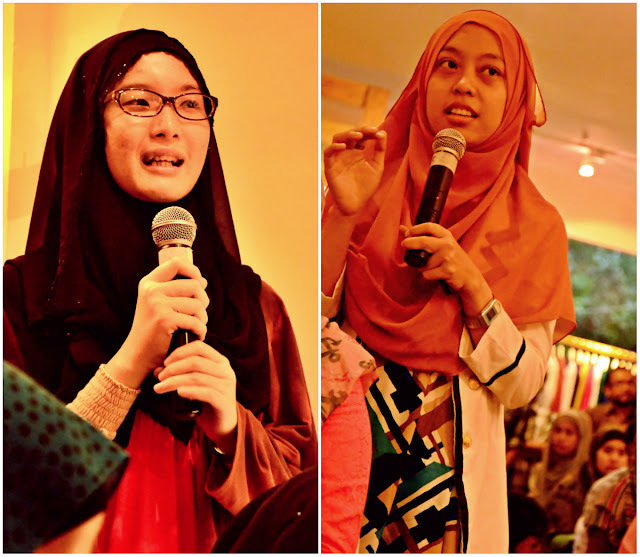 Some photos of book talk & discussion with Fitri Aulia, Astri Ivo (special guest), & Tri (the book's editor)..
"Although a Muslimah is stylish, the important thing is the way she get stylish can put her into heaven too"
"I hope this book can benefit the entire Muslimah to wear hijab in modesty but still can be stylish"
"This book gives a difference from the other hijab books"
After the book talk & discussion, there were some participants who want asked some questions. In this event also had door prize & appreciation for the best dress. And finally! The book launching..
"Inspiring Syar'i & Stylish Hijab" book is officially launched! Don't forget for the book signing and also meet & greet with Fitri Aulia.. There was another events at this moment. It was fashion show of the new collection from KIVITZ (Fitri Aulia's ready-to-wear clothing line). I will post it soon on my next post!